Facial rejuvenation surgery with Dr. Marco Ellis is designed to minimize signs of aging and other imperfections that bother you. 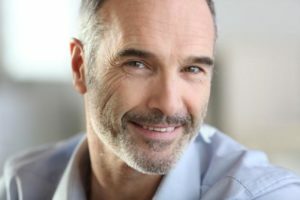 The board-certified Chicago facial surgeon is widely known for his impeccable technique and beautiful yet natural looking results. Dr. Ellis is committed to delivering quality patient care and treating patients with kindness and compassion. Facial rejuvenation is best left to talented plastic surgeons who understand balance, proportion and symmetry. Surgeons like Dr. Ellis know how to make subtle tweaks without leaving telltale signs of surgery like poor scarring or a frozen expression. through continuing education courses and association with the American Board of Plastic Surgeons. Dr. Ellis also trains future plastic surgeons, sharing his knowledge and technique. Facelift surgery, which minimizes the appearance of visible signs of aging in the face and neck. Dr. Ellis fixes sagging skin, deep lines or folds around the nose and mouth and displaced fat in the middle and lower face. He also refines the jawline by eliminating jowls and loose skin around the chin and neck. Eyelid surgery, which improves the appearance of the upper eyelids, lower eyelids or both by eliminating loose or sagging skin that disturbs the natural contours of the lids. Dr. Ellis can also remove fatty deposits that give the eyelids a puffy appearance, and smooth bags, fine lines or wrinkles underneath the eyelids. Brow lift, which gives the eye, brow and forehead areas a refreshed look. Dr. Ellis reduces forehead wrinkles and frown lines, and repositions a sagging brow line higher on the face. This gives the eyes a more youthful and rested appearance. Rhinoplasty, or nose surgery, which improves the appearance of an oversized, crooked, asymmetrical or otherwise unattractive nose. Dr. Ellis can also fix elements of the nose such as a bump on the bridge, flared nostrils or an upturned or bulbous tip. Ear surgery (otoplasty), which fixes oversized, protruding or otherwise abnormal ears. By removing excess cartilage, tissue and skin and bringing the ears closer to the head, Dr. Ellis can create a more attractive appearance. A successful surgery starts with a personal consultation with Dr. Ellis. You will meet with him to discuss your goals and expectations of treatment. After learning more about your desired cosmetic outcomes, Dr. Ellis will suggest a procedure or combination of procedures most suitable for your needs, facial anatomy and goals. He can answer any questions you have about treatment and outline the benefits, expected outcomes and possible risks. To learn more about your surgical facial rejuvenation options, please contact Dr. Marco Ellis of Northwestern Plastic Surgery and request a consultation today.